Whether you’re sharing a bite with friends in the lounge or enjoying a formal meal in the dining area, our chefs will prepare a fresh, authentic and flavourful feast for you that is sure to satisfy even the most refined palates. 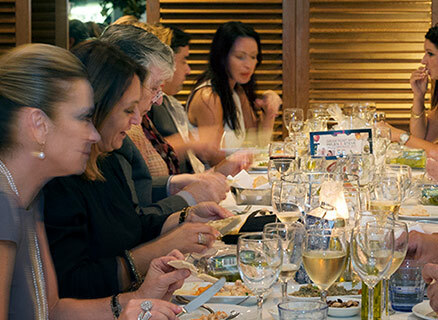 Georges Mediterranean Bar & Grill offers delicious selections of Greek food in Sydney from its dining and lounge menus. With slow-cooked meat dishes, seasonal vegetables and salads and succulent seafood, we have it all along with our signature cocktails and unique local and imported wines. Take a look through our lounge or dining menus, browse our specially curated wine list, and look forward to your next visit to Georges – one of the top Greek restaurants in Sydney. Greek cuisine has evolved over time, but the one thing that hasn’t changed is the fact that no matter what is on the table, a Greek family will eat it together. Sharing food with love is one thing that has passed on through Greece’s food history without change. So, along with the best Mediterranean food in Sydney, there is also loads of love to be served at Georges. 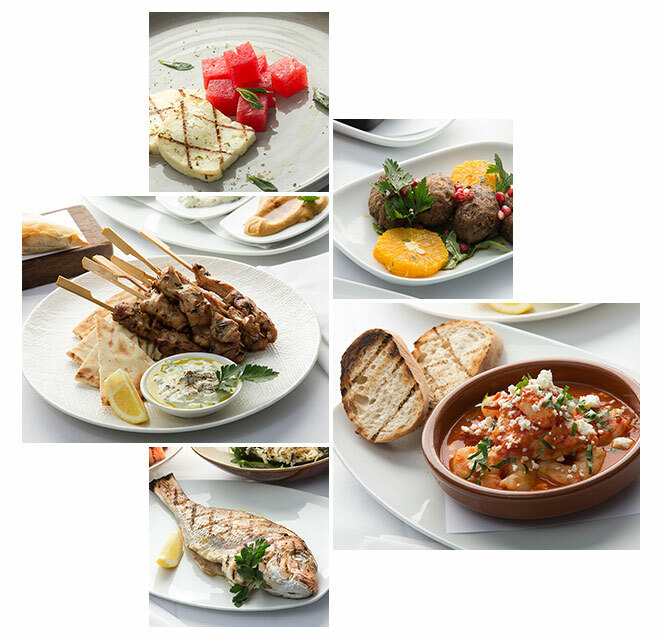 Celebrate special events with family and friends over delicious Mediterranean food at Georges. 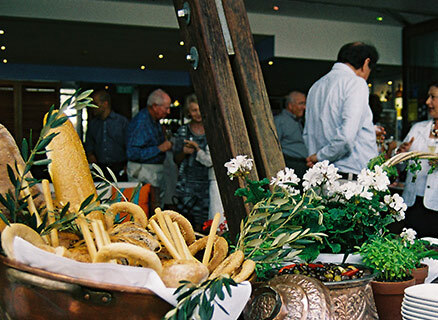 Our Mediterranean Bar & Grill is also the ideal location for private events and corporate functions. We can cater for any occasion, providing a tailored menu in the form of canapés, banquets or dining for your guests. While the selections themselves are flexible, we never compromise on the high quality of our cuisine.